From the top menu, select Windows > Drawing . 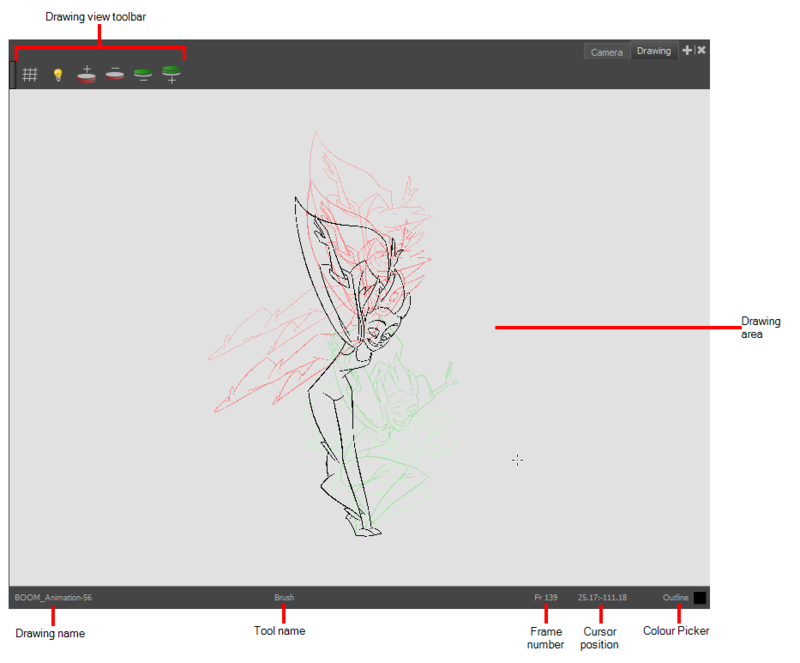 From any of the other views, click the Add View button and select Drawing. This is the main space in the Drawing view. It is where you draw and where the drawings are displayed. This field displays the current frame of the animation you are working on. This indicates the position of the your pointer in the drawing area. The Colour Picker allows you to select a colour for drawing.